For the four-volumes breviary, see Liturgy of the Hours. Cursus monuments are Neolithic structures which represent some of the oldest prehistoric monumental structures of the British Isles. Relics found within them show that they were built between 3400 and 3000 BC. They range in length from 50 yards (46 m) to almost 6 miles (9.7 km) and the distance between the parallel earthworks can be up to 100 yards (91 m). Banks at the terminal ends enclose the cursus. Over fifty have been identified via aerial photography while many others have doubtless been obliterated by farming and other subsequent landscaping activities. Examples include the four cursuses at Rudston in Yorkshire, that at Fornham All Saints in Suffolk, the Cleaven Dyke in Perthshire and the Dorset cursus. A notable example is the Stonehenge Cursus, within sight of the more famous stone circle, on land belonging to The National Trust's Stonehenge Landscape. Their function is not known. It has been conjectured that they were used in rituals connected with ancestor veneration, that they follow astronomical alignments or that they served as buffer zones between ceremonial and occupation landscapes. More recent studies have reassessed the original interpretation and argued that they were in fact used for ceremonial competitions. Finds of arrowheads at the terminal ends suggest archery and hunting were important to the builders and that the length of the cursus may have reflected its use as a proving ground for young men involving a journey to adulthood. Anthropological parallels exist for this interpretation. Contemporary internal features are rare and it has been traditionally thought that the cursuses were used as processional routes. They are often aligned on and respect the position of pre-existing long barrows and bank barrows and appear to ignore difficulties in terrain. 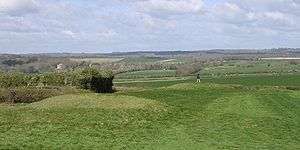 The Dorset Cursus, the longest known example, crosses a river and three valleys along its course across Cranborne Chase and is close to the henge monuments at Knowlton. 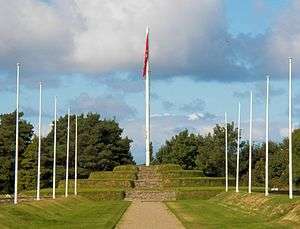 The present-day Tynwald day ceremony on the Isle of Man involves the procession of parliament along a cursus-like structure, which is sometimes suggested as a related or continual folk tradition with the neolithic cursus. Larger scale modern ceremonial analogs might include the National Mall in Washington, and The Mall, London. Numerous examples of cursus are known and the discipline of aerial archaeology is the most effective method of identifying such large features following thousands of years of weathering and plough damage. Some cursus have only been identified through a first sighting of cropmarks visible from aerial reconnaissance; for example, the cropmarks at Fetteresso were the first indication of a cursus at that location in Aberdeenshire, Scotland. 'Cursus' (plural 'cursūs' or 'cursuses') was a name given by early British archaeologists such as William Stukeley to the large parallel lengths of banks with external ditches which they thought were early Roman athletic courses, hence the Latin name cursus, meaning "course". ↑ Peter James and Nick Thorpe (November 1999) "Ancient Mysteries", p,316-9. Wikimedia Commons has media related to Cursus in the United Kingdom. Look up cursus in Wiktionary, the free dictionary.